Purchase the Armed Force Day flag, available in a 2 yard flag size only (183cm x 91cm). 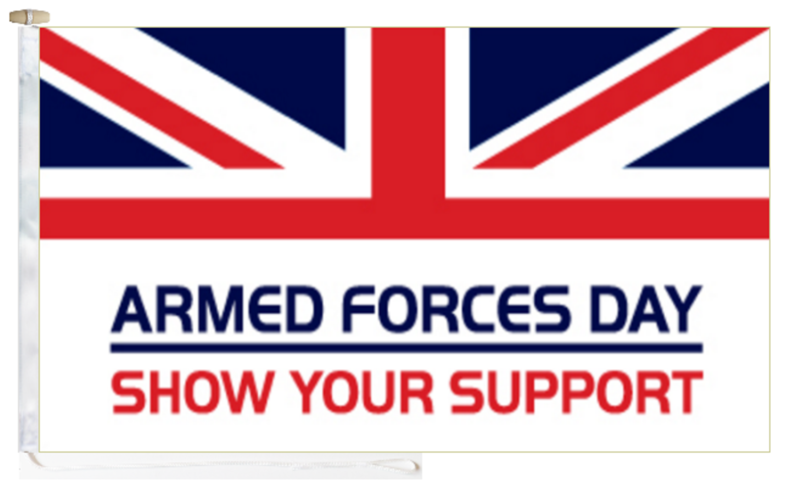 The popular Armed Forces Day flag is printed onto knitted polyester with vibrant, striking colours produced by dye sublimation printers. The Armed Forces Day flag comes complete with rope and toggle. June 30th 2018 is Armed Forces Day so dont miss out with this special flag at a special one off price.